Did you know there is a spinal cord condition that could comprise your overall health and wellness? It’s true. It’s called spinal stenosis. Spinal stenosis is simply the narrowing of the spinal cord canal. Over time, this condition can compress the spinal nerve roots leading to back and leg pain, leg cramps, muscle spasms, leg weakness, and numbness and tingling. As a chiropractor in Brick, NJ for over 28 years, I have diagnosed and treated many patients with spinal stenosis, and there are many ways that chiropractic techniques may ease the symptoms associated with this condition. 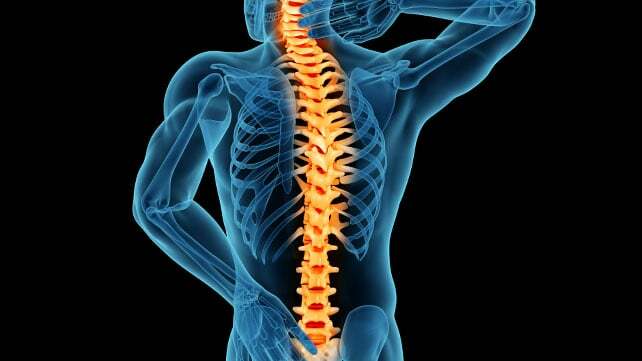 The spinal column is made up of spinal bones, or whats known as, vertebrae. This structure comes together to house and protect the spinal cord, and spinal nerve roots. Your spinal cord is an essential component of the overall nervous system, and your spinal nerve roots are the pathways in which the spinal cord communicates with the rest of the body. The nervous system is a combination of the brain, spinal cord, and all of the nerves in the body, working together to transmit messages to successfully run the functions of your organs, cells, tissues and other systems in the body. This is why your chiropractor may be helpful in preserving your overall health. Think of it in simple terms. If you are suffering from spinal stenosis, and your spinal cord and or nerve roots are compressed, a vital piece of your nervous system may not be able to transmit messages with the same level of precision. Your chiropractor is uniquely qualified to diagnose and treat this condition, so he or she may relieve your pain and discomfort, but perhaps more importantly, they may help ensure that your nervous system is running without interruption. The most common cause of spinal stenosis is osteoarthritis. This condition forms due to the wear and tear on our bodies as we age, and repetitive injuries or physical stresses. We also develop osteoarthritis due to inactivity. People who spend most of their day sitting and largely remaining inactive, are at a much higher risk. People can be born with naturally occurring spinal stenosis, but it’s not common. People over the age of 50 who live inactive lifestyles make up the largest group with this condition. The short answer is yes! One of the biggest reasons to regularly visit you chiropractor when you have spinal stenosis, is to prevent it from becoming worse. It’s not easy to reverse the damage associated with this condition, but your chiropractor may slow the progression. Generally speaking, chiropractic care focuses on maintaining proper alignment so that your nervous system can transmit messages without interruption, and as a result, your body can function as it was intended. After diagnosis, your chiropractor may apply gentle adjustments to help restore range of motion and to provide enough space for the nervous system to transmit messages. Alignment may also help weight distribution of the spine to return back to normal function. Here at the Back and Neck Center of Brick, we have helped many patients with spinal stenosis, and many report that their range of motion and overall posture improved with regular adjustments. Once you have been receiving consistent treatment, you may even find that you can maintain proper posture for longer periods of time. Treatment doesn’t have to end once you leave our office. It may be a good idea to start making some life changes to help boost your spine health. Our doctors may recommend some helpful exercises, stretches, and activities that may boost spinal joint function. So if your are living with spinal stenosis and you’re seeking relief, the Back and Neck Center of Brick, in Brick, NJ can help! Our doctors have been treating patients for over 28 years, and we are confident that we can help you too! 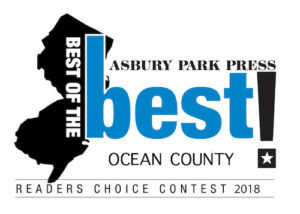 Come see why our office has been voted best chiropractors in Ocean County 9 years in a row, by readers of the Asbury Park Press. From 2009 through 2017! Our office is dedicated to accurate diagnosis and precision treatment. Thanks for reading!